Home Musicians Who is Lil Jon? His Age, Biography, What Happened To Him? Lil Jon name echoed loudly in the mid-1990s and early 2000s in the music industry. The versatile entertainer is all of a DJ, record producer, rapper, songwriter, actor, and businessman. He is popularly known to be the King of Crunk, coined from his song Kings of Crunk. Right from the days he assembled and became the frontman of the multi-platinum selling rap group known as Lil Jon & The Eastside Boyz they held sway from 1997 to 2004 when he more or less became the sole promoter of a hip-hop style known as Crunk. Here we will provide answers to the critical question of where he is now and what happened to the Crunk guy? Lil Jon is the stage name he used in mining his trade in the music industry. He was born and named Jonathan Smith on January 17, 1971, in Atlanta, Georgia, the United States to an engineer father and a mother, Carrie Smith-Williams who was in the Army Reserves. He is the oldest of the 5 children birthed by his parents. Jonathan schooled at Frederick Douglas High school, Atlanta, Georgia, where he was an active member of the school’s marching band. This marked the genesis of his keen interest in music. At 15, Jon became a self-taught DJ, his parents permitted him only to hold house parties in their basement instead of playing in clubs. He later reconnected with his friends McDowell, Dwayne Searcy, and Vince Philips from the middle school to open a house party show, they tagged Old Eng and Chicken Parties, which gained attendances from teenagers in their neighborhood. 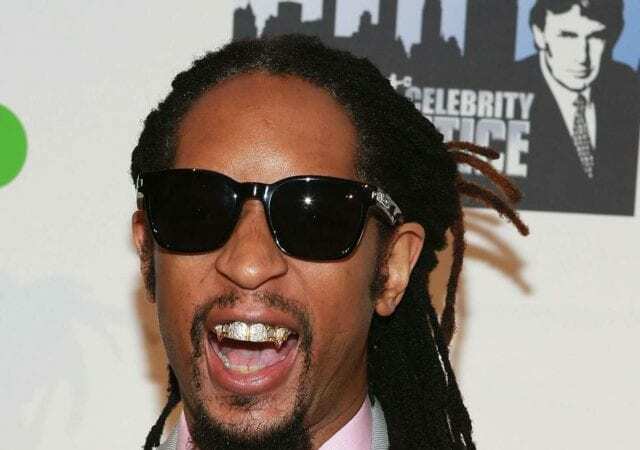 As he came of age, Lil Jon worked at the skate shop and in a local dance clubs as a DJ where he met Jermaine Dupri, the owner of So So Def Recordings, an Atlanta based music label, Dupri hired Jon to be the Artist and Repertoire (A&R) of the label. 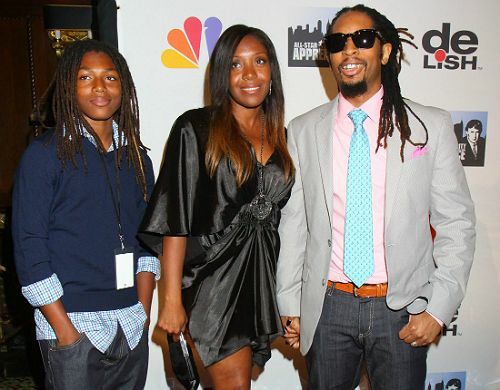 Lil Jon’s hard work at the label earned him a new position as an Executive Vice President of A&R. He then recruited other artists, DJ Smurf, Shawty Redd, Raheem the Dream, among others, they all collaborated to produce a compilation album series titled So So Def Bass All-Stars which was his first project. It sold over 500,000 units and then got certified as Gold by the Recording Industry Association of America (RIAA). They produced their 2nd album So So Def All-Stars Vol. II (1997) and their 3rd album So So Def All-Stars Vol. III dropped in 1998. Previously in 1995, the Blinks hip hop singer, hooked up with 2 artists from the East side of the Atlanta arena, Sammie Big Sam Denard Norris and Wendell Lil’ Bo Maurice Neal to form a rap group named Lil Jon & The East Side Boyz, the group released their debut single titled Who U Wit? (1996). The single produced by Lil Jon is attributed to be the introduction of Crunk into the sub-hip-hop genre. The following year, they dropped their first studio album titled Get Crunk, Who U Wit: Da Album. Who U Wit? and Shawty Freak a Lil Sumthin which charted at No. 70 and 62 respectively on the Hot R&B/Hip-Hop songs. They kept dropping albums till their 5th – Crunk Juice (2004) which was a chart-topping production that got RIAA certified. Lil Jon’s solo career took off with Snap Yo Fingers (2006) which featured E-40 and Sean P. It was followed by his solo album Crunk Rock in June 2010, via Universal Republic Records. The album was highly packed with notable artists like Pitbull, Ice Cube, Damian Marley and many more. It peaked at No. 8 on the Billboard R&B/Hip Hop Albums and later reached No. 5 on the Billboard Rap Albums. In 2011, Turn Down for what hit the airwaves under Columbia Records label, he featured DJ Snake in the song which was widely received and certified 5x Platinum by the RIAA. Two years later in 2013, Jon partnered with Zumba Fitness to create a new nightclub tour known as Zumba Nightclub Series, the move prompted him to release a single, Work. Lil Jon, the self-proclaimed King of Crunk, had most of his works, centring on the word ‘Crunk’. His music style inspired by Geto Boys, N.W.A, Dr Dre, was used to narrate real-life experiences that bother on street life which he aggressively delivers in his yelling style of rap. As an actor, Lil Jon has starred in some films and televisions series/shows like; ‘Soul Plane’ (2004), ‘Boss’n Up’ (2005), ‘Date Movie’ (2006), ‘Scary Movie 4’ (2006) and ‘Smoke and Mirrors’ (2008), ‘Chappelle’s Show’ (2004), ‘Wild ‘n Out’ (2006), ‘Comedy Bang! Bang!’ (2015), ‘Bar Rescue’ (2018), just to mention but a few. The father of one has been nominated for several awards including a Grammy, MTV and BillBoards Music awards. For his songs, Turn Down for What with DJ Snake for Best Direction Award by MTV Video Music Award, followed by Yeah!, a song by Usher which featured Ludacris and co-written by Lil Jon, Sean Garrett, Patrick J also won the Best Rap/Sung Collaboration. The Dance club musician is a married man and the name of his lovely wife is Nicole Smith. They have a son together named Nathan Smith who was born in 1998. Nathan has taken after his dad as a DJ and he is known professionally as DJ Slade. The rapper is known to have contributed to the growth of education, he has sponsored the building of 2 schools in a third world country, two schools in the Western African Country, Ghana. From all spheres of entertainment that he has been involved with, Lil Jon’s net worth is estimated to be about $28 million. What happened to the master of ceremony and King of Crunk? In case you have not heard anything about this pace setter of the Crunk Rap genre in the music industry lately, it is because he is now working full time as a DJ at the Wynn Social Club somewhere in Las Vegas whilst he co-owns a record the Black Market Entertainment and also runs his Crunk Winery business. Well, the 3 times platinum certified musician and record producer gave way to the young blood running things in the fast-paced and ever-evolving music industry. He took time out (after his elimination from the apprenticeship show as the 4th last man) off the mainstream industry and resumed the creation and production of electronic dance music aka (EDM). He is not the first art not to have evolved with the changing times, as the likes of Roxanne Shante, D4L, Yung Joc, Jibbs have all bowed out.